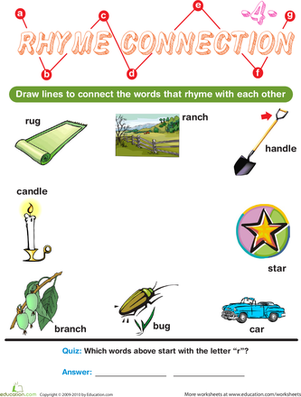 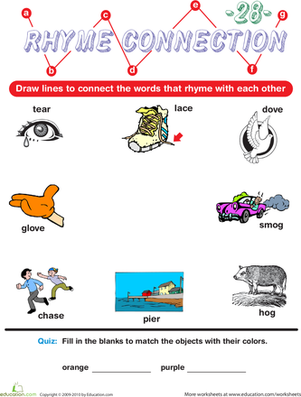 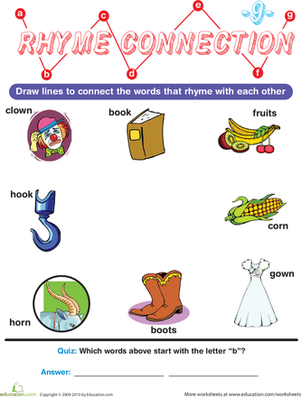 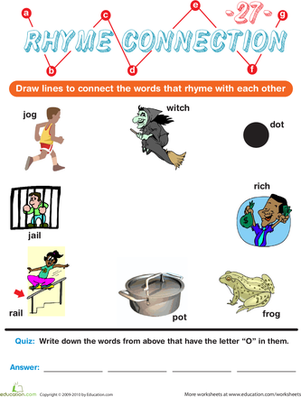 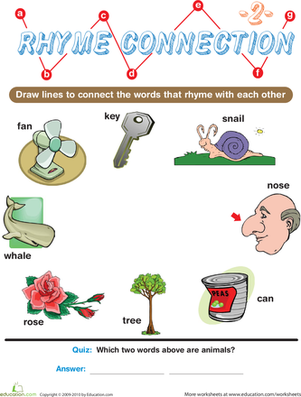 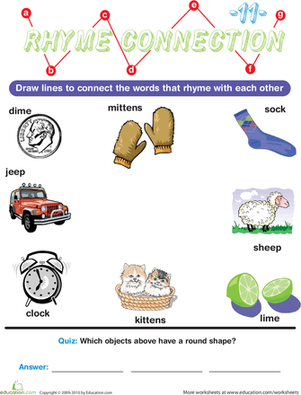 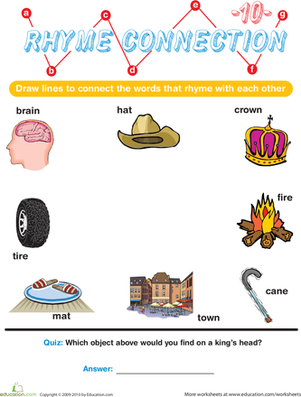 In the tradition of nursery rhymes and Dr. Seuss, this Rhyme Connection worksheet uses one of our favorite literary devices to make reading and spelling fun and engaging for your child! 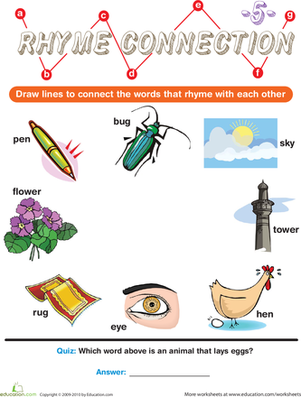 He'll look at pictures and letters to figure out which words rhyme with which, and draw a line to connect the words that rhyme! 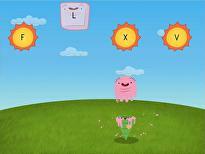 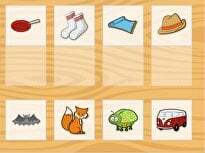 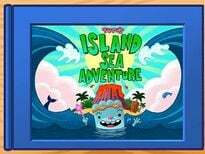 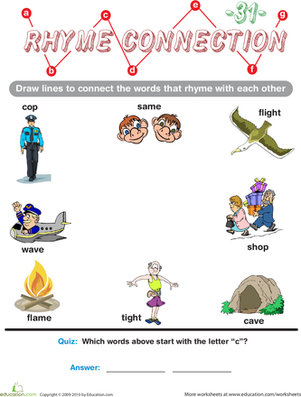 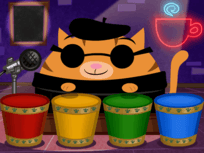 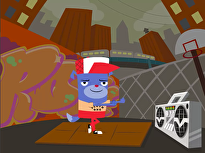 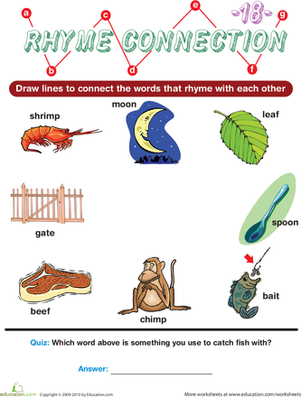 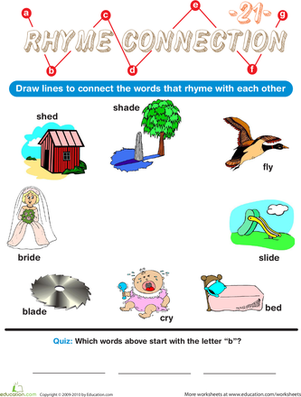 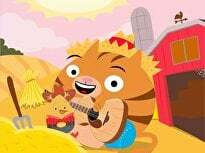 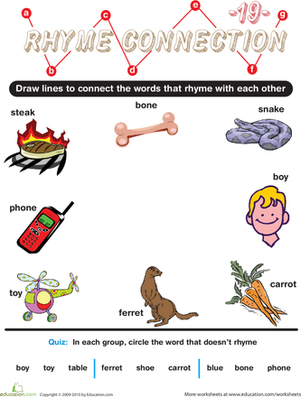 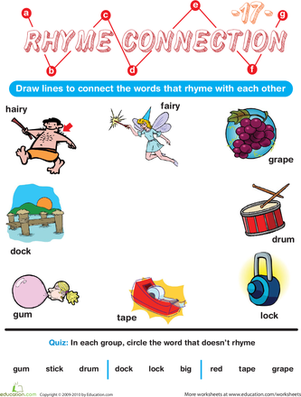 Then, give him some early reading comprehension practise with a quick quiz at the end using one of the rhyming words.